Friends and family describe former Big Country school superintendent and coach Arnett Weeks Jr., 84, as an “inspiration” and standout athlete. Weeks died June 24 in Victoria after a short illness. Funeral services were Saturday at First Baptist Church in Bangs with burial in the Bangs Cemetery. Weeks was superintendent of schools and football and track coach at the Jim Ned school district from 1959 to 1971. He later served as elementary principal in Anson and was superintendent and coach at Bangs school district from 1973 to 1985. Weeks was born near Goldsboro and graduated from Lawn High School is 1942. 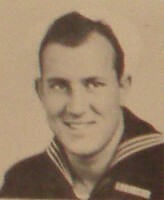 He attended Howard Payne College and played football, but left in 1943 to join the Navy during World War II. Arnett earned a Presidential Unit Citation and three bronze stars as well as the U.S. Naval Commendation. He participated in three invasions in the Pacific — Saipan, Guam, and Iwo Jima. His ship was sunk at Iwo Jima, but he survived. In the fall of 1946, Arnett returned to Howard Payne to continue his education and to play football. He graduated from Howard Payne in 1949 and then earned a master’s degree from Southwest Texas. 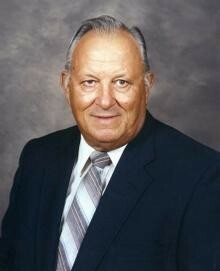 He began his teaching and coaching career at Grandview High School in 1949. Arnett was athletic director and coached basketball, football, and track at Cisco Junior College from 1955 to 1958. After retirement, he assisted coaching track at HPU for about two years. He served in public educations for 50 years. His daughter, Patsy Kennamer, of Bangs, said many of her father’s former students stayed in touch with him regularly. Kennamer said what really stands out is his love for the Lord and his love for children and young people. Bruce Land, of Abilene, a retired coach and administrator, ran track for Weeks at Cisco Junior College in 1956-57 and was an All-American under Weeks for two years. Weeks was also involved in civic life. He served on the Bangs Independent School District board of trustees for 11 years and as the mayor of Bangs for one year. He is survived by his wife, Patsy, and three daughters, Patsy Kennamer, of Bangs, Nancy Henry and husband Bill of Godley, and Janie McClatchy and husband Ricky of San Antonio; six grandchildren; and eight great-grandchildren. Two sisters survive him: Johnnie Ruth Duncan of Big Spring, and Peggy Sue Satterwhite and husband Bobby of Lawn. Funeral services for Arnett Sear Weeks Jr. of Bangs will be held at 2 p.m. Saturday, June 27, at First Baptist Church of Bangs with graveside services following at the Bangs Cemetery. Visitation will be held from 6-8 p.m. today, at Davis-Morris Funeral Home. Davis-Morris Funeral Home is in charge of arrangements. Arnett Weeks was born Oct. 8, 1924, in Goldsboro, Texas, in Taylor County, to Arnett and Marie Weeks. He was married to Patsy Ann Landry on Dec. 2, 1950, in Luling, Texas. Arnett was a World War II veteran, earning a Presidential Unit Citation and three bronze stars. He graduated from Howard Payne College in 1949 and then earned a master’s degree from Southwest Texas. He served in public schools as a teacher, coach and school administrator for 38 years. He also served on the Bangs Independent School District board of trustees for 11 years and as the mayor of Bangs for one year. Arnett is survived by his wife, Patsy, after 58 wonderful years; three daughters: Patsy Kennamer of Bangs, Nancy Henry and husband Bill of Godley, Texas, and Janie McClatchy and husband Ricky of San Antonio; six grandchildren; and eight great-grandchildren. He is also survived by two sisters: Johnnie Ruth Duncan of Big Spring, Texas, and Peggy Sue Satterwhite and husband Bobby of Lawn, Texas. The family requests memorials be made to the Arnett and Patsy Weeks Scholarship Fund at Howard Payne University. BROWNWOOD, Texas – The Howard Payne Sports Hall of Fame Committee announced today that it will induct Dale Byerly, Fred Davis, Kevin Hill, and Arnett Weeks in a ceremony to be held during the 2008 Howard Payne Homecoming. 4, 2008 at 7:00 pm in the Bullion Suites of the Mabee University Center. Tickets can be purchased through the Howard Payne Alumni office. Dale Byerly graduated from Coleman high school in 1958 as Valedictorian of his class. There he was an All-State quarterback, All-Region in basketball, and won the state championship in the one-mile three years in a row. Byerly attended Howard Payne in the Fall of 1958 where he was a four-year starter at quarterback for the Yellow Jackets. During his time on the football field for Howard Payne he led the Lone Star Conference in total yards and earned Second-Team All-Conference and Honorable Mention Little All-American honors. Byerly also excelled of the field being named to the Alpha Chi National Honor Society, Kappa Delta Pi Education Honor Society, and Who’s Who in American Colleges and Universities. After graduation from Howard Payne in 1962 he had coaching stints in Brownwood and Quanah high schools in Texas. He then began work with the Cancer Society in Texas before becoming the assistant Director of the Heart Association of Texas. He then went on to become the state director of the Indiana Heart Association. Today he lives in Dayton, Tennessee with his wife, Lynn and is a member of the Rotary Club and his local church. Fred Davis is a 1962 graduate of Castlemont high school in Oakland, Calif. After taking a year off he spent one year a New Mexico State University. He transferred to Howard Payne in 1967 and went on to be an All-American in 1969 and 1970. Fred Davis still to this day is the all-time leading scorer in Howard history (2,026) and still holds five Howard Payne and four Lone Star Conference basketball records. In 2006 he was named one of the top 75 male and female basketball players to ever play in the Lone Star Conference. After leaving Howard Payne, Davis played professionally in Philippines and then seven seasons in Belgium. In Belgium, Davis led the league in scoring three seasons. He when on to coach in that same league for four years before going to work for a beverage distributer in California for20 years Davis now owns a janitorial service in Oakland, Calif.
Kevin Hill is a 1989 graduate of Albany high school where he was a multiple all-district selection in football. A four year letterman on the Yellow Jacket football, he was a two-time All-Conference wide receiver helping Howard Payne to two conference titles. In his senior year of 1992 he led the nation in receiving with 99 catches, at the time setting a school and conference record. That season he also earned NAIA All-American honors. Before graduation he was honored on the Howard Payne Dean’s List his senior year. After graduation from Howard Payne in December of 1993, Hill went on to coach football at Early, Dalehart, Comfort, Coleman, Baird, and Albany, also serving as high school principal at Coleman, Baird, and Albany. He was also honored to helped coach the Big Country FCA All-Star football game in 2008. He is currently the high school assistant principal at Albany high school and lives there with his wife Kim and there four kids. Arnett Weeks is a 1942 graduate of Lawn high school. He attended Howard Payne College just one year before leaving school to enlist in the Navy in 1943. Weeks participated in three invasions in the Pacific, received two Bronze Stars, and a Presidential Unit Citation. In the fall of 1946, Arnett returned to Howard Payne to continue his education and to play football. Playing offensive and defensive tackle, Weeks was a two-year starter and was named Second-team All-Texas Conference in 1947. Also during his time at Howard Payne, he was involved with student government as student body treasurer and class president. Weeks was named twice to the Who’s Who in American Colleges and Universities list. Arnett went on to coach in high school in Texas at Grandview, Beaumont French, Granbury, Rosebud, Jim Ned, Anson, and Bangs high schools. He also spent time at Cisco Junior College as Athletic Director and football and track coach and was named National Junior College Coach of the Year in 1957. While at Cisco he helped make Cisco the first Texas higher education institute to accomplish racial integration by the recruiting of several African American athletes. At Rosebud high school, he was elected Teacher of the Year and Central Texas Coach of the Year in 1959. It was at Jim Ned, Anson, and Bangs where he moved from teaching to administration. Arnett finished out his career at Bands ISD serving as Superintendent and girls track coach. Later on he worked as a volunteer track coach and helped with basketball stats at Howard Payne. The endowed Arnett and Patsy Weeks Scholarship for physical education major bares his name. Now retired, he resides in Bangs with his wife Patsy.